If you’ve ever seen someone with a horrendous scar and residual ink following a POS q-switched laser tattoo removal attempt, then you know just how tough black inks can be to clear. 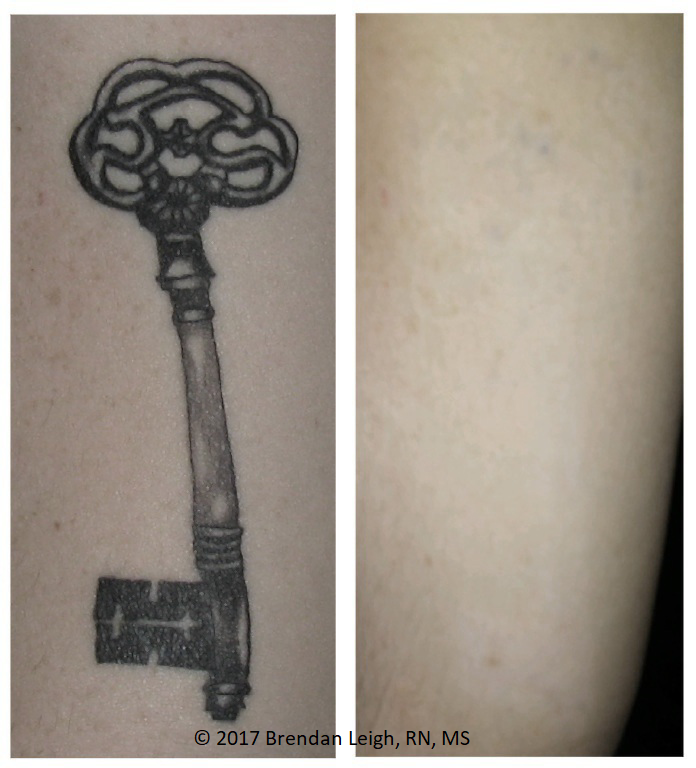 These two examples of PicoSure removal (pics below) highlight just how thoroughly the patented PressureWave can shatter even the toughest of modern black glossy inks. This patient is muscular and the tattoos were full-thickness, meaning the needle went completely through the dermis and delivered the ink throughout the deepest regions of the skin. Most POS q-switched laser “operators” simply turn up the power to tackle tough ink, which will often burn, scar and produce less than desirable results. 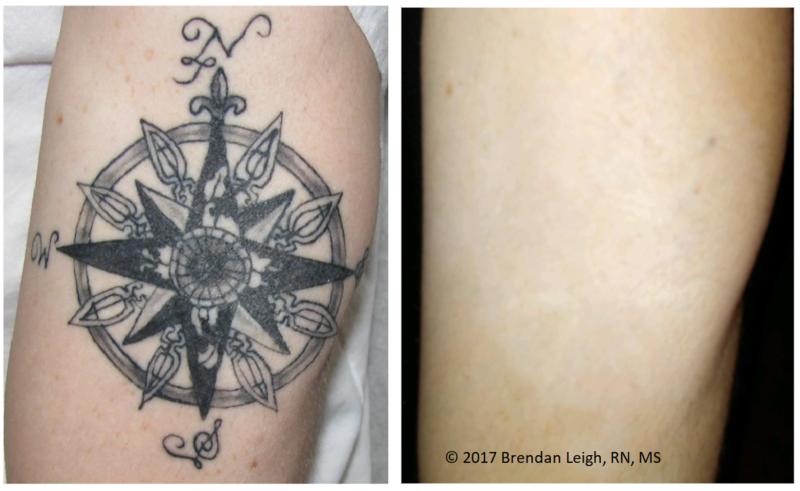 PicoSure doesn’t require heat to remove a tattoo, so this gentleman was very happy with his results and the skin was left unharmed.